Why is checking Windows Update so slow? I have Windows 7 PCs that have automatic update turned off. I do updates in batch once a month or so. But each time "check for update" takes 15 to 30 minutes. I don't understand why checking for updates can be so slow? I have to wonder what is happening in the background. Is it computing hash? Are my PCs with automatic updates enabled suffer the same fate every time it boots up (only that I wasn't aware)? Windows 7 uses Component-Based Servicing, which means Windows Update has to work ridiculously hard to determine file and component dependencies/inter-dependencies, maintain side-by-side versions of older files/components, while still making it possible to uninstall individual updates/components but without breaking any other updates/components, all the while taking into account supercedence and god knows what else. The code that does all this must be hellishly complex. Windows 7 64-bit has to maintain both 32-bit and 64-bit versions of each update. Windows has to maintain both GDR and LDR versions of each update, which means on Windows 7 64-bit you get 32-bit GDR, 32-bit LDR, 64-bit GDR, 64-bit LDR for each update. The code behind Windows Update is highly inefficient, probably due to its conceptual complexity. My observations over the last few years are that, as the total number of released updates has increased, update check time has increased in an almost exponential way. To me that's indicative of some kind of recursive algorithms being employed, perhaps to determine superscedence or resolve dependencies. Unfortunately for us, Microsoft don't like talking about Windows internals so we end up having to figure it out for ourselves or speculate. Microsoft has not been able to optimize enough the update mechanism, which is in general an exponential algorithm, resulting in a brute-force algorithm which is rather slow. Microsoft's WU servers are sometimes over-burdened. Let us look at these points more in detail. After an update is released, it can enter into three additional different phases over time: Revisions, Supersedence, and Expiration. Update Revisions: When changes are made to a previously released update, it's called an Update Revision, where some pieces of the download are changed. This is a partial, not full, update replacement. 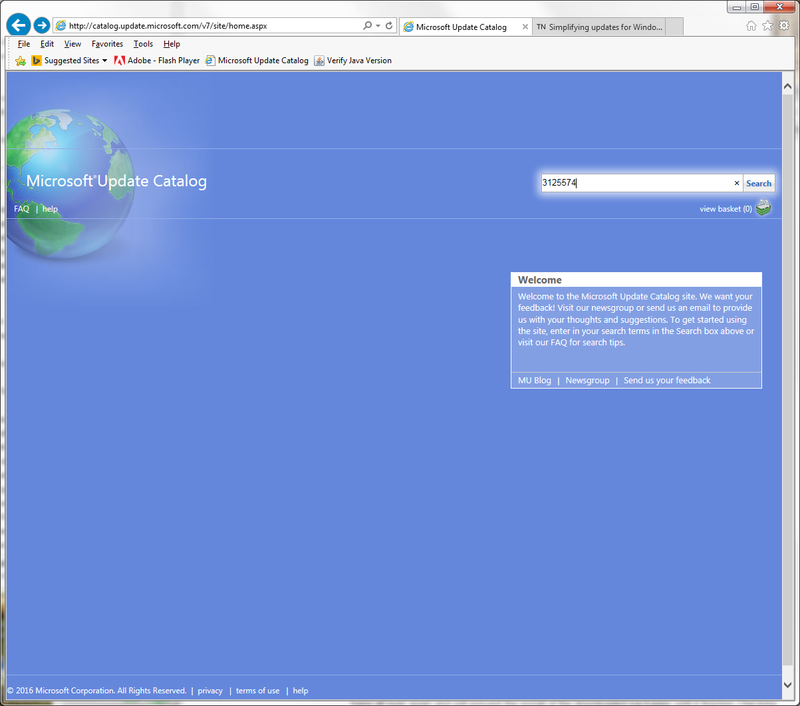 Superseded Updates: This is a complete replacement of a previous release, or releases. Sometimes Microsoft will wrap multiple releases into a single package, and that package replaces its encapsulated updates. Expired Updates: These are updates removed from the list of valid updates. Such updates are no longer applicable and will not be detected for installation. Most times, an update is expired after it is replaced by a Superseded Update. Updates have also a dependency mechanism, which means that some updates may require other updates to be applied first. Expired Updates are problematic to WU performance, since unfortunately they are not removed from the computer, so they still take part in the calculations, and there are so many of them. Some improvement may be achieved by using Disk Cleanup to Remove Outdated Windows Updates (take first a backup disk image of the system drive, since WU is also very fragile). Because of the enormous number of possible combinations, Microsoft keeps all updates on the WU servers in the format of a humongous tree. Deciding on which updates need to be applied is done by a tree-pruning algorithm, which takes into account the client's installed hardware and software, as well as all the updates that are already installed, which is by itself a large body of facts that need all be applied successfully when pruning. The algorithm is not guaranteed to succeed, meaning that WU is perfectly capable of destroying the OS or even rendering it unbootable. This is entirely understandable, for example taking an update A1, having revision A2, where an update B depending on A was released between A1 and A2. Now go figure whether the order of installation should be A1-B-A2 or A1-A2-B, when the wrong decision can be deadly. As of 2008, Windows Update had about 500 million clients, processed about 350 million unique scans per day, and maintained an average of 1.5 million simultaneous connections to client machines. On Patch Tuesday, the day Microsoft typically releases new software updates, outbound traffic could exceed 500 gigabits per second. These numbers have probably doubled by now, and explain why the WU servers are sometimes unreachable. I am using the WU option of "Check for updates but let me choose", and my own experience is that there are days and times when checking for updates takes longer than I'm willing to wait, requiring postponement. Windows 7 was released on July 22, 2009. After about 17 months, Service Pack 1 (SP1) came out on February 22, 2011. This was about 4.5 years ago, which means that SP2 is long overdue. The good side of a Service Pack is that installing it wipes out the entire update history, so that in effect WU starts from zero, exactly as after a fresh installation of Windows. This of course speeds up enormously all the calculations, since there are fewer updates to take into account. 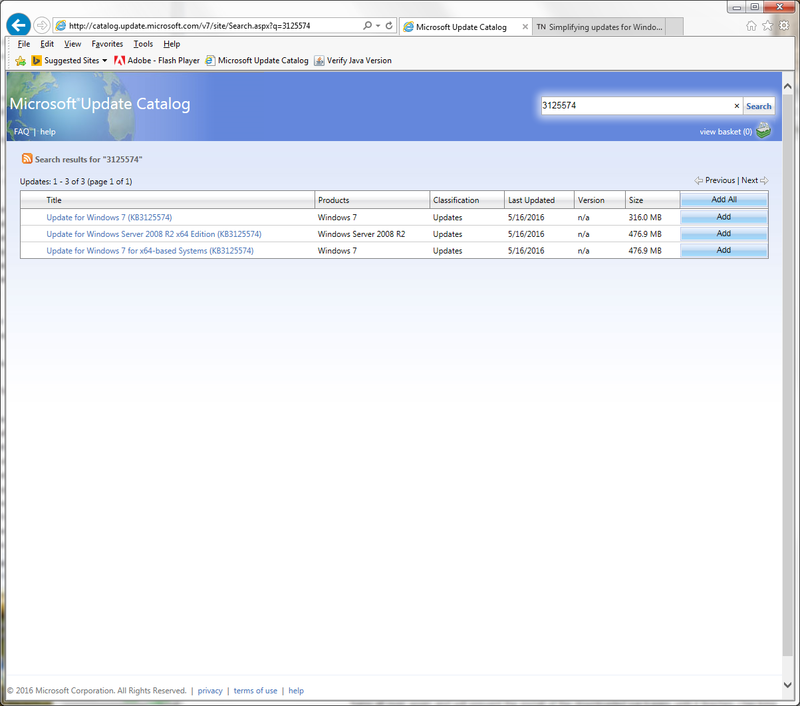 The sheer number of existing updates since SP1 explains why WU calculations are so slow today. For Microsoft the problem can be solved "simply" by upgrading to the more recent Windows 8.1 or Windows 10, so WU will have a smaller number of updates to take into account. As Microsoft still continues to apply numerous updates to Windows 7, WU will only keep on slowing down as time passes. One possible optimization is to Remove Outdated Windows Updates. Another is to use the WU option of "Check for updates but let me choose", and check for updates early morning or late at night. Most updates also apply to Windows 8 and 10, so the burden on Microsoft's WU servers will only multiply when Windows 10 is soon released. Microsoft also seems to parcel the bandwidth of its WU servers according to its own policies, with the accent on serving the more recent operating systems, so we should expect another slow-down for Windows 7 once Windows 10 is released, together with disproportionately faster updates for Windows 10. If WU is too slow, the only real solution is to upgrade to a later version of Windows. Microsoft has published what is actually SP2 for Windows 7 and 8.1. This update will not be available from Windows Update for some unknown reason, so has to be manually downloaded and installed. Microsoft overhauls Windows 7 and 8.1 updating -- but don't call it a service pack. Check the EDIT section below, there is a much faster way to fully update Windows 7 SP1 after a clean install as of May 2016. This is what I do when I reinstall W7 with SP1 or have issues with Windows update stuck on checking for updates. If you have other Windows updates issues and the 2 updates above are installed, download this Microsoft Windows Update fixit tool (right click "save link as") run it and select aggressive mode to completely reset Windows updates. Reboot and try Windows Updates from the Control Panel again. This tool fixes issues when the other Microsoft fixit tools fail, at least in my experience. Now you will see all versions of this rollup, select the one you need and download it somewhere you can find it later. Also use the Windows Update Catalog page to download and install this update first, 3020369, it is a pre-requisite for the rollup, then install 3125574, also be sure to be disconnected from the internet when applying these updates. When you use ETW/WPR/WPA to check for the CPU usage during the scan you see that the CPU usage comes from wuaueng.dll!CUpdatesToPruneList::AddSupersedenceInfoIfNeeded which is called from wuaueng.dll!CAgentUpdateManager::FindUpdates. The AddSupersedenceInfoIfNeeded method is the slowest thing. This does what the name indicates and looks if the offered/installed Windows 7 updates are still needed or superseded (outdated/replaced by newer ones). This is very slow. With the last Windows Update Client update from June 2016, which is part of the Windows 7 July 2016 Update Rollup, the update search is fast again. Takes only a bit over 1 minute for me to search for new updates. To speedup the setup up of the update KB3172605, stop the WindowsUpdate service (net stop wuauserv). In Windows 10 Microsoft fixed the issue by following my suggestion and make the updates cumulative. Here you only need 1 large update to be at the current patch level. This slow checking is no longer needed. If past experiences with the XP update are any indication, they occasionally let slip an exponential-time algorithm in there. Which once you have many updates... takes forever. Currently the Win 7 updates are in a similar situation; take a long time, although there's no official explanation for this latest bout of slowness yet. It's interesting that this "just happens" (to the old versions) when they have a new one out. The cynical me can't help but imagine that someone might intentionally want that to happen, along the lines of [old] Windows is slow? You need a new version. Or maybe it's just the MS way of starting the holiday season. There is a hotfix for some kind of WU slowness, which is not being offered automatically (i.e. via update itself): https://support.microsoft.com/en-us/kb/3102810 Alas it did not make a real difference in my case, and I've tried it on two different computers one 32-bit and one 64-bit. Also it has been around since October, so it's probably not for the latest issue[s]. There are about a billion PCs running Windows today. Each PC has some combination of hardware, accessories, OS version, language, IE, device driver version, Microsoft software at various patch levels, security updates, etc. The Windows Update system has to sort through all these combinations to offer the right updates for an individual PC. Each update has properties including dependencies and a "supercedence" structure. The first step (first run) in the scan is to determine the OS version, SP, language, PC manufacturer to prune the tree of likely updates for the PC. Based on that first scan, a likely set of update IDs are sent to the device and the local client computes which updates are installed, superseded, etc. and then sends that list to the server and also caches a copy locally for subsequent scans. The server responds to the client request for updates with descriptions, etc. that are displayed in the UI (in the appropriate UI language). Once a day, a check update is done by the Automatic Updates client in the background and refreshes the local cache of installed updates, so that subsequent scans are just a delta and fast. These are stored in the %windir%\softwaredistribution folder on the PC. A similar process is also performed for previously downloaded updates. The service won't re-download the packages. Your best bet in my opinion is to just enable windows updates and switch to the option which lets you download updates but not install automatically. That way, you can get what you want installed without having to wait for checks or background file downloads. Now, to answer why it's slow. I think it simply comes down to the fact that windows updates was built with the reduction of noticeable impact to users in mind. It uses the BITS service (background intelligent transfer service) to check for and download updates. Again, the focus with this service is to work in a way that's not disruptive to the user. Speeds are intentionally slow by design as Microsoft never intended clients to turn the update service on and off every month. What you might look into is getting your own WSUS server setup. That way you can deny updates much the same way enterprise admins do and it can apply or deny those chosen updates to all of your windows devices you own. Making that chore of selectively updating, less of a chore. It is slow because Windows Update and several other Windows system components use the Microsoft JET Blue database engine, which suffers from notoriously bad performance and is an overall resource hog. Like others have mentioned, there also appears to be some degree of recursion in the Windows Update code itself, leading to poor performance as the number of updates increased. Just to add another data point. I recently have to bring up a Vista PC. I manually upgraded Vista from SP1 to SP2 but checking for update takes forever. Nothing happened for 24+ hours. After downloading and installing the updates manually. I ran update check for 10 min and it found 200 updates. Keep in mind this is for Vista but I think maybe something similar exist for Windows 7 too. Go to the energy options, set the standby time to "never"
When everything has been updated correctly, you will find a huge amount of patches (about 200) were installed. Windows also defragged and ran Windows Defender updates/scans as well. After that, the remaining Windows Update cycles (search for updates - install - reboot - search for updates - install - reboot - search for updates ... until # updates has become 0) work much faster. Hey i think my previous answer was not to good but i given good advice how to make pc run faster anyway.At fresh installation of windows 7 i use original but still with slipstreamed updates installation disk, anyway i sugesst you try updates kb3102810 and kb3050256 to install right after fresh installation these two can significiantly increase speed of both searching and installing updates. Not hashing, but yes, it's checking a lot (as deep as some DLLs file version). It is slow no matter what system you use. As a solution, keep it off and when there's a day or night you don't need the system too much, turn it on, force it to check for updates and let them all install. Does Windows 7 uses all this memory while doing nothing? Are there real reasons to NOT upgrade Windows 7 to Windows 10? Why do Windows 7 updates take so long to install? So I managed to restore from an “Inaccessible Boot device” error after update … now what?